On the outside, the differences are minimal. The X-E2S offers an „improved“ hand grip, but to be honest, I can’t feel much of a difference. However, pressing the four selector buttons on the back of the X-E2S does feel better, so this may be another small improvement over the classic X-E2. 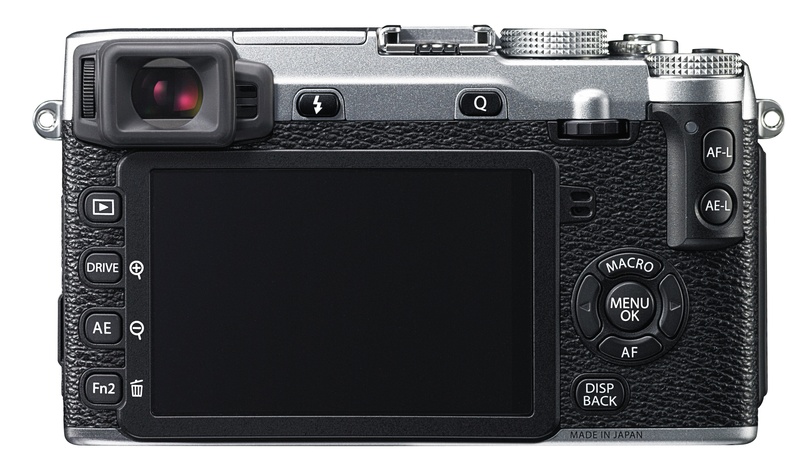 With firmware 4, you can forget the MACRO and AF descriptions on two of the X-E2’s selector buttons, as all four selector keys now serve as Fn buttons, just like in the X-E2S. This gives both cameras a total of 7 Fn buttons! 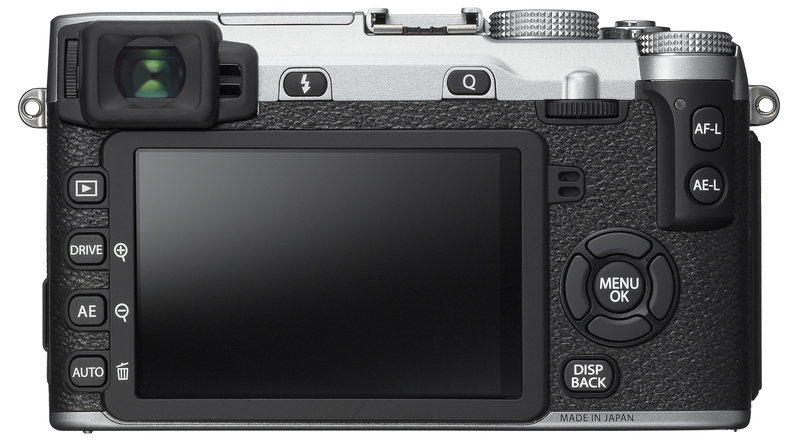 The most obvious difference is the Fn2 button of the X-E2, which is named AUTO on the X-E2S. Don’t worry, though. The „new“ AUTO button is still a regular Fn button that can perform any function you assign it to. It’s just that its factory default assignment is to switch the X-E2S between its regular and the new AUTO mode. On the X-T10, this function is performed by a dedicated Auto lever on the camera’s top plate. The classic X-E2 with firmware 4 doesn’t offer AUTO mode, as it requires additional hardware that (obviously) can’t be added via firmware. So what’s this new AUTO mode about? Quite simple: It turns the X-E2S into a fully automatic camera with scene recognition (SR+) and various scene modes for applications such as portrait, landscape, fireworks, sports or night photography. It’s meant for users who don’t know the camera (like a stranger that’s supposed to take a picture of you using your camera), or users who don’t want to know their camera, because they can’t be bothered with learning about aperture, shutter speed and ISO settings. If you want to know more about SR+ and the new scene position modes, please read tips 26 and 27 in my X-T10 book. Since AUTO mode adds bits of new hardware, the X-E2S also gains another feature: motion detection. This function adds two options to the OIS menu (SHOOTING MENU > IS MODE). What is it about? As you know, the OIS (Optical Image Stabilizer) is part of several Fujinon XF and XC lenses. It reduces camera shake and allows you to shoot handheld with slower shutter speeds than usual. However, slow shutter speeds are only useful when your subject isn’t moving, because moving subjects in concert with slow shutter speeds can lead to unwanted motion blur. This is where motion detection comes into play: With the X-E2S, you can still set Auto-ISO to slow shutter speeds to make full use of your camera’s OIS system. However, when the camera detects subject movement as you press the shutter button, it will temporarily increase the minimum shutter speed by one or two stops (and increase the ISO setting along the way). Of course, if you don’t want motion detection, you can simply turn it off in the X-E2S and use one of the two regular OIS modes. You can read more about the OIS, its quirks and the new motion detection feature in tips 15 and 16 of my X-T10 book. Anything else? Yes! The X-E2S offers a maximum extended ISO setting of 51200, while the X-E2v4 still maxes out at ISO 25600. That’s because once again, ISO 51200 is based on different hardware, so changing the firmware couldn’t do the job. However, since extended ISO settings don’t write RAW files, I don’t recommend using them, anyway. Better shoot (and underexpose the scene) at ISO 6400 and push the RAW file later with either the camera’s built-in or an external RAW converter. You can read tips 50, 51 and 52 of my X-T10 book for information on ISO amplification and extended ISO settings. There really aren’t many differences between the X-E2v4 and the new X-E2S. If you already own an X-E2, don’t sell it to get a X-E2S! Just apply the upgrade and be happy with your new camera. Don’t look any further. You can use this link to find and download the latest firmware versions for your X-series cameras and lenses. There, you will also find current versions of Fuji’s application software, such as RAW File Converter EX. A step-by-step video guide illustrating the firmware upgrade process is available here. Mac OS users can find detailed firmware download instructions here, and Windows users can click here. You can always use XPERT40. Please help! I am selling my Nikon D700 in order to purchase a new camera and considering a switch to Fujifilm. I want something lighter and the image quality attracts me, as well as the style of the body and quality if glass. I am struggling to decide between the x-e2 (or x-e2s) and the x-t10, which would you recommend? I have read comparisons and buyer reviews, only to still be confused! I prefer the X-T10. Technically, there isn’t really any difference between the two, so it depends on the preferred form factor. With the current firmware 4, the X-E2 is just like the X-E2S and X-T10. This also means that X-E2(S) users should read my book on the X-T10, not on the X-E2. I ve decided i want to go with Fuji on my next camera, but I m stuck and slightly confused with the above cameras.